This Utility Company relies on E-Tank because of the Company’s proven record of performance in delivering and managing the movement of the rental equipment down the miles of pipeline which helps keep the project on track. 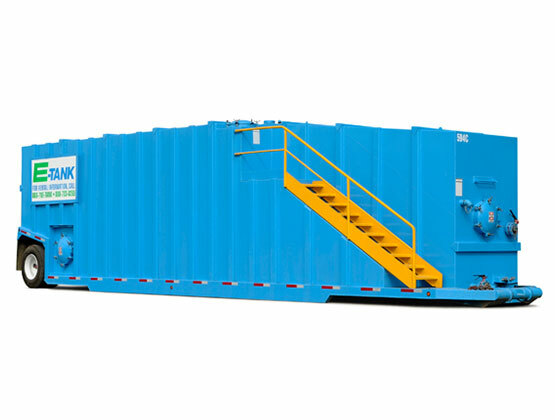 The surge in natural gas production in northeastern Shale formations has increased the need for mobile frac tanks for “pipeline pigging”. This is a critical process by which pipeline operators clean and inspect their pipelines as part of routine maintenance. This task is accomplished by sending a pipeline “pig”, usually cylindrical in shape, into the pipeline to sweep the pipe by scraping the inside diameter, pushing rust scale and other debris ahead. Frac Tanks are used to store water which serves as a baffle for the pipeline pig and flushes the debris from the line. Frac Tanks are also used to contain contaminated water that results from the pipeline pigging process until it can be properly disposed of. A major mid-Western pipeline operator consistently rents 21,000 Gallon Frac Tanks and Mini 10,000 Gallon Frac Tanks from E-Tank. This Utility Company relies on E-Tank because of the Company’s proven record of performance in delivering and managing the movement of the rental equipment down the miles of pipeline which helps keep the project on track. The customer also prefers E-Tank because the company provides tanks that are “Certified Clean”, preventing the introduction of unwanted contaminants into the pipeline project. 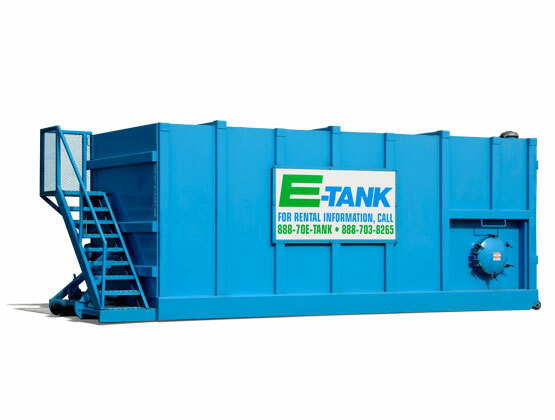 Additionally, they use E-Tank’s service to clean the tanks and properly dispose of residues at the end of the rental.